Mansur Brown - Shiroi. Vinyl LP, CD. Bleep. Black Focus presents Shiroi, the debut album from Mansur Brown. 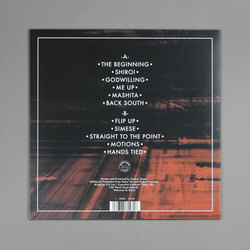 An integral player within both London’s genre-defying but so-called ‘jazz’ scene, as well as hitting key notes on Kamaal Williams' and Yussef Dayes’ incredible Black Focus album in 2016. His debut album builds upon these foundations while setting the stage for Mansur to take his rightful place as one of the most important artists operating within the scene right now. 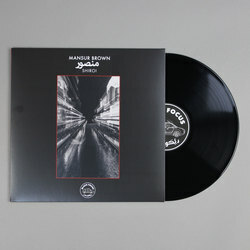 Following swiftly on from both Kamaal Williams' and Black Focus Records' incredible debut release, The Return, Mansur Brown brings his serious Hendrix-esque, guitar flare sound to the table with eleven tracks that portray a truly timeless quality with each note. 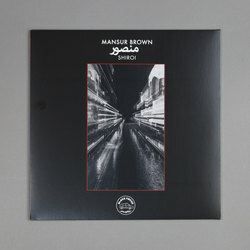 While some may label it Nu-Jazz or Broken Beat etc, to us Mansur Brown, Kamaal Williams and the entire Black Focus crew are carving out their own niche within the rich histories of RNB, trip-hop and funk. Trust us when we say one listen to Shiroi and you will have no doubt that these guys are the real deal and as such we'd advise keeping both eyes on their Black Focus street-level sounds. We'll leave it up to Black Focus to describe Shiroi best though... "As Thundercat claims the Bass Guitar, Robert Glasper the keys, the 21-year-old prodigy from south east London claims the Guitar. Welcome to Shiroi."